The Italian version of the Microman Blizzard. 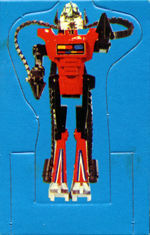 Blizzard is a kind of anomoly from the Microman line. 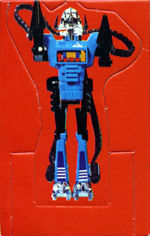 He was introduced late in the series when Takara was attempting to breathe fresh life into the sagging Microman line. 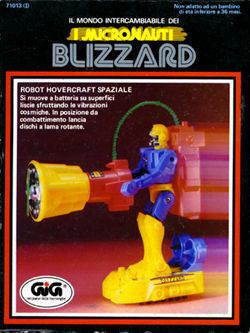 Blizzard is battery-powered, sports a hoverboard and a large cannon that fires off large green spinners! He is a very inventive design for his time.